Every year, tens of thousands of Americans are killed by drunk drivers. The statistics in New York are similarly grim. The cold, simple fact is that drunk driving is a serious problem in the United States. That’s why the federal government is launching a national campaign, timed to culminate with Labor Day weekend, called “Drive Sober or Get Pulled Over.” Scheduled to start on August 17 and run through September 5, the campaign is designed to help state law enforcement officials across the country raise awareness and increase their enforcement efforts. You can find more details about the campaign here. But for everyday Americans, the takeaway is simple: drunk driving is serious, and the government is treating it that way. And at Weiser & Associates, we’re happy to hear it. We have too often seen the devastating consequences of drunk driving. 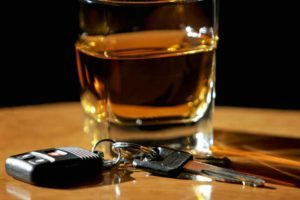 Our auto accident attorneys have seen how driving while drunk can affect a vicitm for the rest of his or her life. Remember: as the victim of a drunk driver, you have legal rights. You can- and should- pursue justice and compensation for your injuries. Drunk driving is unacceptable, and you should not be forced to pay for someone else’s unforgivable error in judgement. If you’ve been hurt in an auto accident caused by a drunk driver in New York, please call Weiser & Associates today at 212-213-3111 for a free consultation.